Did you know that Halloween is the number 1 decorated holiday in the entire year? Weird huh? 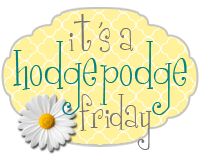 I think it is the change in season and the cooler weather headed our way (at least here in Texas)!! 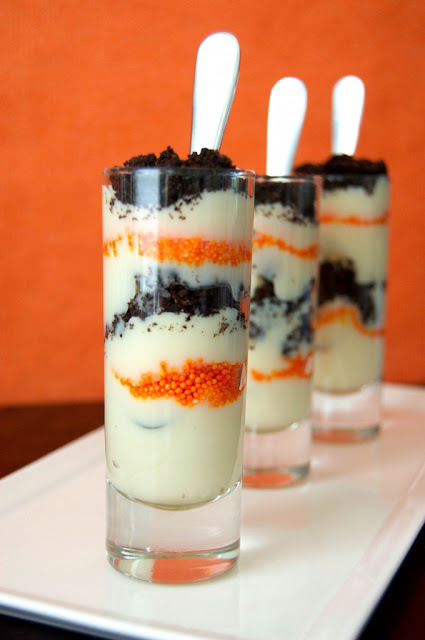 I LOVE Halloween parties and all of the deserts that go with them. So I am putting together a list of awesome fall and Halloween deserts again. 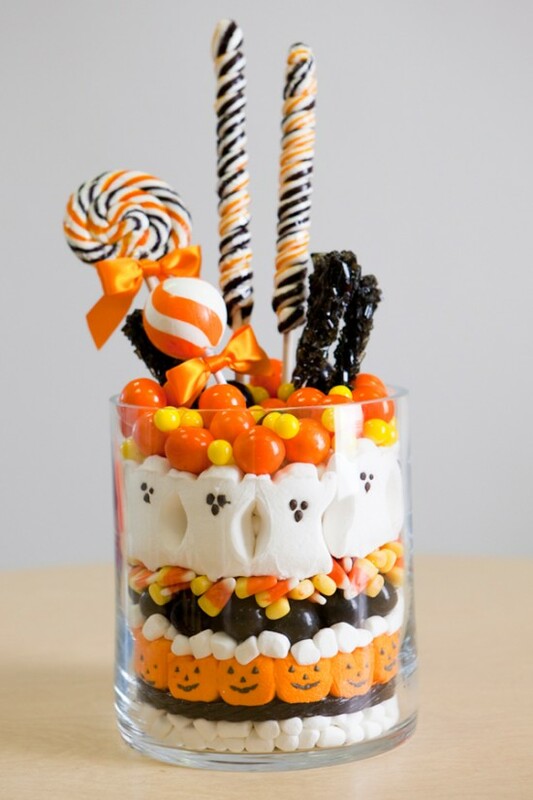 Check out Buckets of Halloween Ideas for the whole recipe. She has some other very cute ideas on there to. Oh man!! Anything that is a rice krispie treat I am LOVIN it!! Check out these. They are so stinkin cute!! 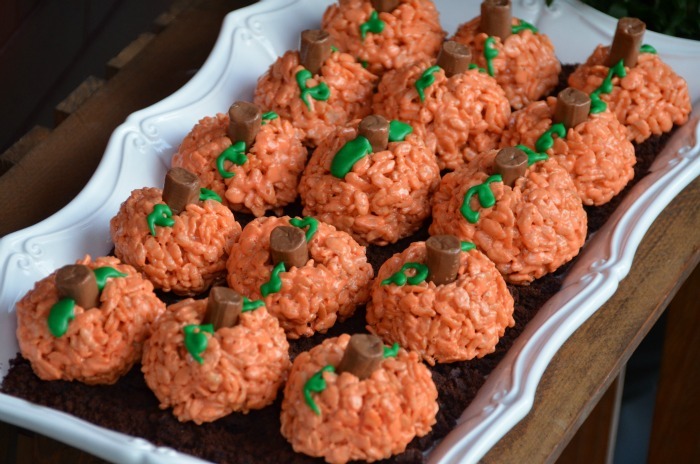 And these would also make a perfect class party treat!! Very easy to make and here is all you will need. Please go to Home Stories A to Z to see exactly how she makes these. I am putting these on my list for sure. This next idea can actually be a whole food idea for a classroom fall or Halloween party. This can also be the children's craft to make during the party. Awesome Idea One Charming Party!! 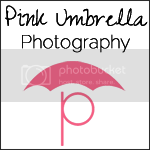 This next one can be used as a center piece for a party or I thought it would make a cute teacher gift for Halloween. You can find this idea also at One Charming Party. 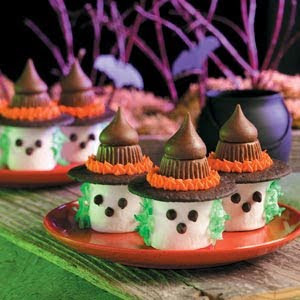 These look so yummy and would be perfect for a Halloween Party as well. These can be favors or little finger foods for desert. I know right!! They look so good. You can head over to Frog Prince Paperie to see just how she made these. You can even change the colors up a bit to make them blend in with your holiday theme.